Ever since I was twelve years old, I have dreamed about going to Venice, Italy. I saw the movie The Italian Job and I absolutely fell in love with the city. The Italian Job is still one of my favorite movies – Charlize Theron, Aston Martins, and Venezia – What more could you ask for? I saved my favorite Italian trip for last and finally made the trek up north. My friend and I took the fast train straight to the island and immediately began exploring. We probably should have just followed the Canal Grande to Piazza S. Marco, but it was truly amazing getting lost along the smaller canals. 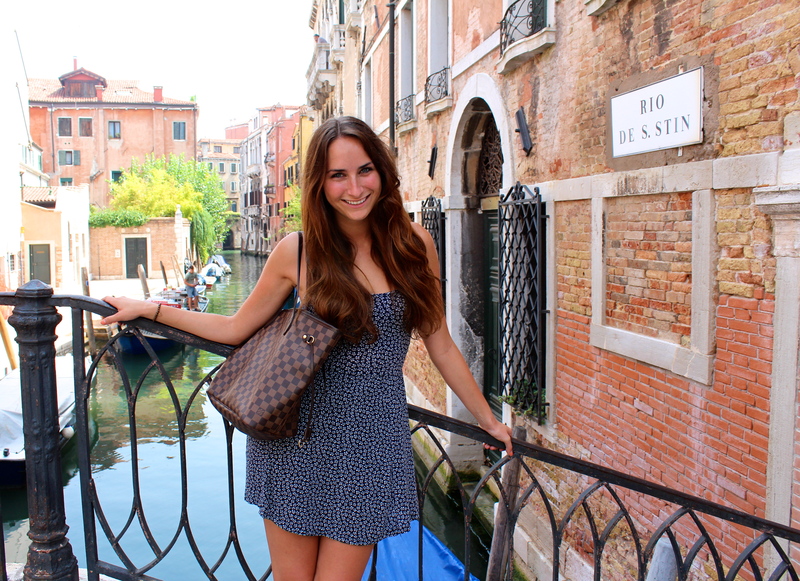 We eventually found our way to an adorable restaurant along the Canal Grande just steps away from the Rialto Bridge. The owner flagged us down and insisted that we dined there, we were a bit skeptical and almost declined, but some complimentary prosecco got us to stay. I’m glad we did stay because the view, the food, and experience was well worth it. After lunch we continued our journey to Piazza S. Marco where we met another friend from Firenze. We strolled around the square and eventually stumbled upon Caffè Florian, the oldest coffee house in all of Europe. This very Disneyland-esque coffee house opened in 1720 and still operates in the same location today. Being a big espresso fan, I had the pleasure of enjoying the absurdly priced, 9,50€ iced americano while listening to a live band playing in the courtyard. We then began shopping, which was a lovely escape from the humidity and scorching heat (100°F+). The shops were extremely unique and beautifully amazing. 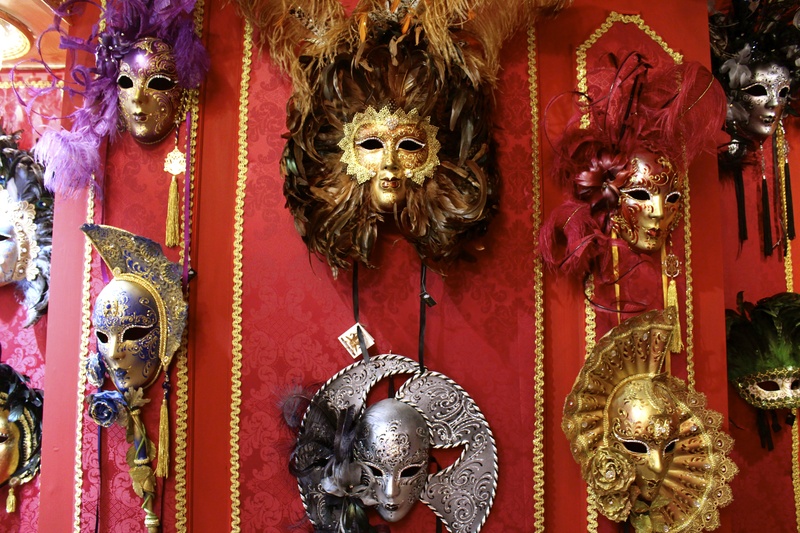 There were such intricate and elaborate masks hung from the walls and you could find hand blown Murano glass in every shop. I wish I had stayed there longer than just a day, but unfortunately we had to catch an early train back home that evening. Just writing this post makes me wish I was already back, it was such a perfect day. Someday soon, I’ll be back for a sunset gondola ride and a chance to see Venice at night. Next Post Ciao Italia! Si avrà sempre un posto nel mio cuore.